I buy few magazines these days thanks to the fantastic amount of subscriptions we get in at work, but one I do subscribe to is Readymade from the US. This bimonthly print DYI magazine is for people like me who like to make stuff. 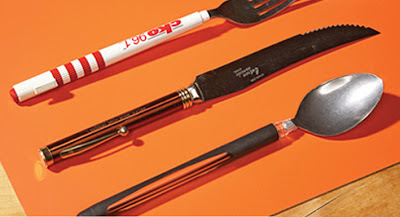 The guys at Readymade seem to have a lot of fun and don’t take themselves too seriously. 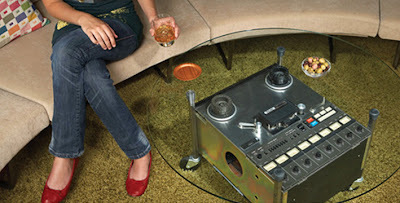 Lots of great articles, my fav’s are ‘HDYGTFAJ?’ (How Did You Get That F@#king Amazing Job?) and MacGyver. Readymade also have a book of projects. 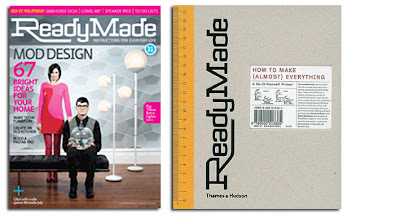 ‘ReadyMade: How to Make (Almost) Everything’ (hardcover on sale on Amazon UK) for £10.47 / USD $40 / €28.95. The Book and (as of very recently) the Magazine are available in Amsterdam at the American Book Centre, Spuiplein. You can subscribe to the magazine online, too. Within the States, USD $19 / international subscriptions €19.20 / £13. There's also a blog, and some back issues available online: USD $10 for a hardcopy issue, or USD $5 for a pdf version. Now go make something useful.